We know that selecting the right flooring for your home can be overwhelming. We make choosing the right items for your home simple! Fort Worth Elite Tile & Stone Reseller - Visit our Showroom! We want to help you create beauty and reflect individual tastes through the hues and textures, warmth and strength of artistic tile designs. We are a full service supplier of natural stone and engineered quartz countertops. Start by visiting our slab warehouse to find the perfect material for your project. Artisan Granite Countertops provides unmatched service at very affordable prices. From our initial, no-obligation visit to your home, you will immediately notice the difference between Artisan Granite and other fabricators. We listen to you and your desires and help you achieve your dream kitchen or bathroom. 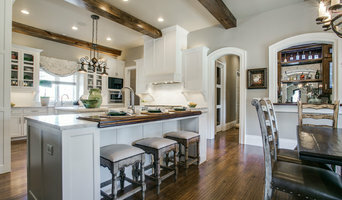 Service and attention to detail have contributed to Artisan Granite Countertops reputation as one of the finest granite companies in North Texas. We specialize in kitchen and bath countertops & backsplashes. 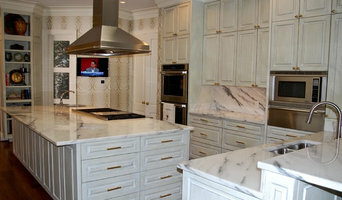 We work with granite, quartz, quartzite, and marble. Concrete in Disguise, LLC is a precast concrete manufacturer that specializes in custom decorative concrete countertops for residential and commercial applications. We work with builders, architects, interior designers and homeowners to design beautiful and functional countertops that customers view as a work of art for everyday use. In addition to the originality and beauty, our concrete countertops offer superior strength and less maintenance than competing materials. We crush limestone to powder, add hydrated lime and proprietary ingredients for bonding; When water is added, we have 8 hours to hand carve and pigment. The next day the stone is as real as if we laid it stone by stone. The advantage is that because of our light weight, you don’t have to remove your old brick and add extra footing for weight control. All wall surfaces such as brick, wood, sheetrock centerblock,inside or outside in any rock pattern can be achieved. We can give you the look that you want: big stones small stone, any shape and color, at less than half the time of laying stone by stone and for a fraction of the cost. When old world cast stone is added around windows and doors, wainscot is added: Putting stone over cheap chimneys, dormers, and gables to match the expensive stone on houses, our prices are much less than half of laying stone by stone. -------------------------------------------------------------------------------- Limestone Masonry Spray-On Veneer Located in Dallas, Texas inside the dynamic Dallas Fort-Worth Metroplex. Cre8stone, a member of the National Home Builders Association (NAHB), the Better Business Bureau (BBB), and the National Remodeling Industry Association (NARI) is dedicated to providing the highest quality of natural limestone coatings for the remodeling and construction industry. Our Certified Artisans will use the design flexibility and versatility of our product to give your walls a luxurious and magnificent look. Contact us today to learn more and discuss your project with one of our Certified Artisans or fill out the free estimate request in this website. Tile, stone and countertop projects might not sound especially complicated, but they can be surprisingly hard to get right. Seeking expert assistance can help homeowners save time, money and frustration. Contractors who specialize in this field are trained to install and repair tile and stone surfaces in your Roanoke home, from flooring to backsplashes, as well as countertop materials such as solid surface, granite and marble. In addition to basic surfaces, many Roanoke, TX tile, stone and countertop contractors can create and install murals and mosaics, as well as add decorative edge treatments to countertops. They also repair or replace surfaces in the event of chips, cracks, stains or other damage. Many tile, stone and countertop professionals also install shower pans, radiant-heat flooring systems and other common components of surfacing jobs, often working in tandem with Roanoke, TX plumbers or other professionals. Here are some related professionals and vendors to complement the work of tile, stone & countertops: Interior Designers & Decorators, Architects & Building Designers, General Contractors, Kitchen & Bath Designers, Design-Build Firms. Find a tile, stone and countertop contractor on Houzz. Narrow your search in the Professionals section of the website to Roanoke, TX tile, stone and countertops. You can also look through Roanoke, TX photos to find tile, stone and countertop projects you like, then contact the contractor who worked on it.